Beautiful Christmas boxes in Cream with Gold Stars, or Red with SantaCream Box Measures 200mm x..
Clear cellophane bags, with a card base. Available in 2 sizes; Size S- 300mm x 500mm with.. Handmade 2d Christmas pudding cupcake topper. Approx. 2" diameter. €2.55 per pack of 2. 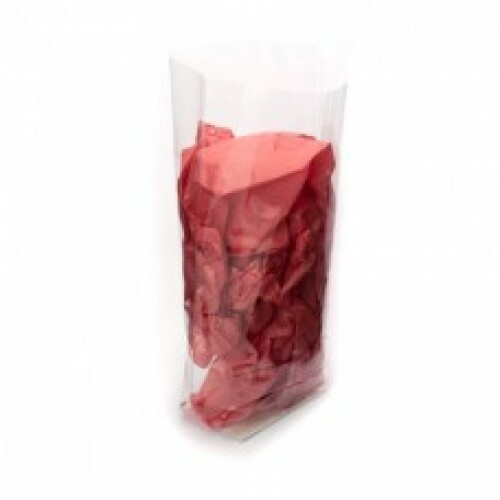 ..
Cellophane Gusset Bags, ideal for wrapping cake pops, cookies, truffles, slices and more. . They measure 3.5"x2.5"x11" and 25 per pack. €4.50 per pack. Product Code: 25 Cellophane Bags 3.5"x2.5"x11"
Small Cellophane Bags, ideal for wrapping cake pops, cookies, truffles, slices and more. They have a..